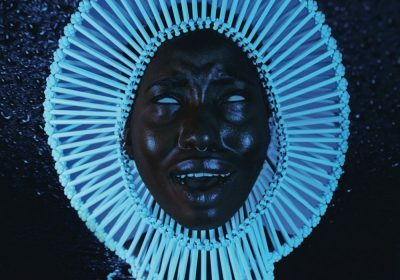 “Awaken, My Love!” by Childish Gambino. Changing from rap to R&B vibes actor, singer, writer and funnyman Childish Gambino (aka Donald Glover of Community) has undertaken a 180-degree turn and provided an album chock full of interesting new sounds for the artist complimented for outstanding production. Long teased with private events happening earlier this year in Joshua Tree, California, before shadow dropping new single Me and Your Momma in November, fans who had not attended his recent shows were perplexed by the radical change in style, further amplified by the news that his new album would feature not a single bar spun from Gam-B. Coming off of his widely lauded 2013 thought project Because the Internet, which featured a complementary screenplay and short film with it, Glover has shed his trap and heady/electric rap features in favour of something that is closer to the stylings of Prince and his contemporaries. The switch lends favourably to the vocals in particular, as Glover swoons over airy keys and pounding guitar as his voice, both vocoded and natural, pushes the various storylines further. Each separated by their vignette nature, the stories told feel broader in their eccentricities, while still retaining the humour carried from Glover’s writing career. He uses on-the-nose mocking of the mumble rap scene on California to the scene setting “chocolate cake with cool-aid” from the sensual Redbone. Longtime collaborator and producer of his previous albums, Ludwig Göransson keeps the feeling of the album bassy and loose, channeling homages through slide guitars and funk. The fully instrumental The Night Me and Your Mama Met oozes soul, as if ripped from a smoke drawn studios surrounded by shag and a sepia wallpaper. It is the new confidence in Glover’s singing that captures the best moments from AML, the shrieking fits from the opening track contrast against the barren final track that strips many of the instruments to allow Glover full range of nostalgic ruminations. The closing track Stand Tall and blistering Redbone provide exceeding highlights to the Album, while bolstered by the equally terrific Terrified. Certain songs do come across as odd on a first listen though, both California and Zombies take a few listens to get accustomed to due to the experimental nature of the vocals, yet are each valuable for the introspection being given by Glover and the top notch production on display. While many may be turned away from the switching of Genres on Childish Gambino’s newest efforts, but it stands as one of the best and fully formed albums of the year. Surely surpassing his former rap-comrades who have released underwhelming and incomplete albums, the likes of Kanye West and Drake are to be imagined. Awaken, My Love! is strong in execution and not to be missed.